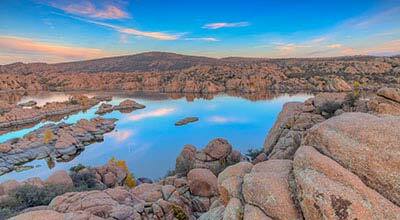 Prescott, Arizona—Two people were transported to hospitals following a car accident involving four vehicles on Tuesday morning. The accident occurred at about 10:00 a.m. at the intersection of Highway 89 and Prescott Lakes Parkway. 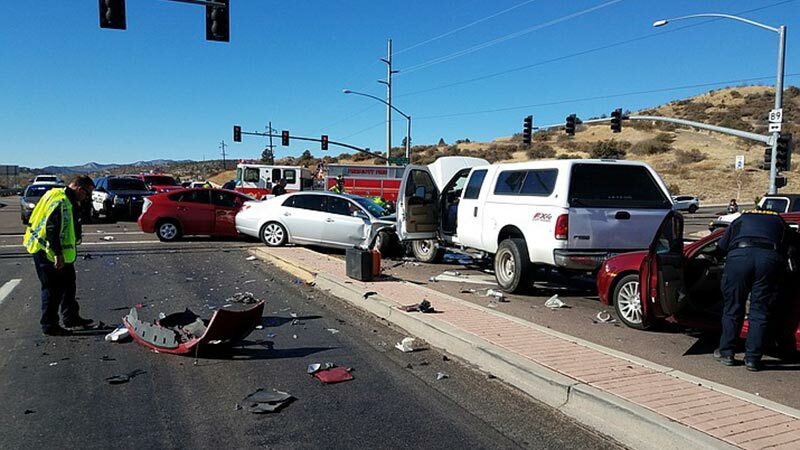 According to an emergency responder with the Prescott Fire Department, an unidentified man in his 80s drove his sedan across the median and struck a pickup truck that was waiting to turn left. The force of the impact pushed the pickup into another vehicle. A fourth car was damaged. The elderly driver of the sedan was air evac'd to a trauma center in Phoenix with life-threatening injuries. The driver of one of the other cars involved was transported to Yavapai Regional Medical Center with less serious injuries. We wish speedy and full recoveries for all those who were injured.